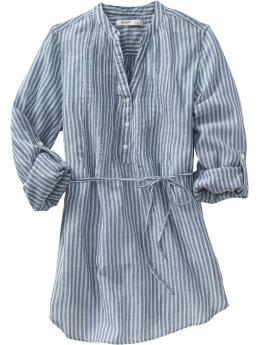 I ♥ tunics. So comfortable and stylish, they're epitome of laid-back chic. Are you a fan too? Here are 5 fantastic finds for spring--all under $50! The cream tunic tops is awesome. Good designing! 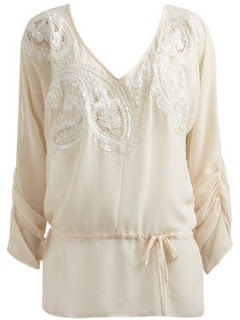 Reminds me of a cream embroidered cotton tunics I bought from Yours Elegantly online. 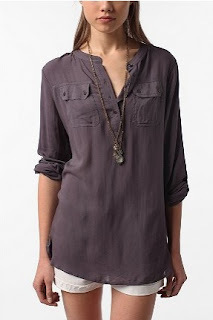 I love tunics and I am always shopping online. 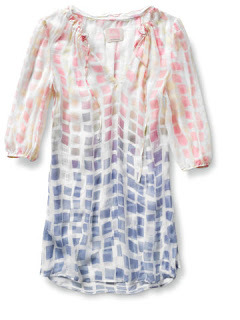 Love this cream tunic! Abby: I know what you mean! I went a little tunic crazy a few weeks ago too. Love them. Cashmere: The cream tunic is beautiful, right? I love the sleeve detail. I love tunics! Thanks for sharing these.